Is there a reason to own a gaming headset that doubles as streetwear? HyperX is the latest to try. The Cloud Mix is HyperX's attempt to move up the ladder from a gaming brand to a “lifestyle brand.” Astro made the pivot early, pitching its high-end gaming headsets as a statement, not a mere accessory. Then Razer swung that direction as well, ushering in some sort of RGB-everything future. Judging by the Cloud Mix’s design, HyperX already thinks it's a lifestyle brand, or at least bordering on one. Let’s not dance around the subject: The Cloud Mix looks like any other HyperX headset. The color scheme’s a more muted gray-and-black instead of the brand’s standard red-and-black, but even this isn’t 100 percent new. HyperX used the same gray-and-black on the Cloud II headset, for instance. It’s not an impossible hurdle—Razer’s made inroads with a three-headed snake graphic, which is arguably worse. But HyperX’s logo is so big and so prominent. I can’t help but wish it were shrunk down or confined to the headband, or maybe rendered black-on-black where it’d be less glaring. Anything that would make me more comfortable about wearing the Cloud Mix on the street. In some ways I like it even more than the Cloud Alpha—or really, in one major way. The Cloud Mix finally rectifies one of my biggest complaints with the brand, by slapping controls onto the headset itself instead of relegating them to a small box on the cable. You’ll find volume and power on the right earcup, and a mute button on the left. 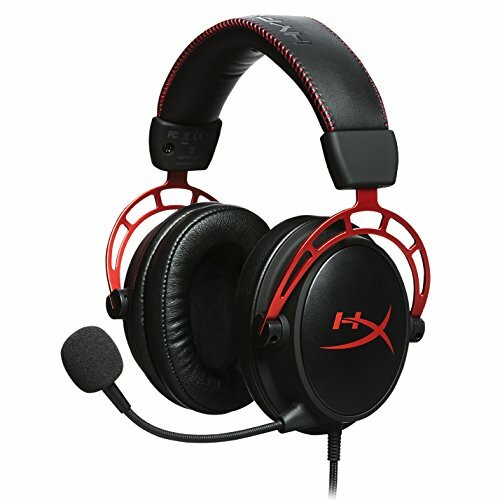 That said, I’m curious to see where HyperX goes from here. Four or five years ago, HyperX was the underdog. Now it’s a gaming mainstay, and for good reason. HyperX makes great hardware. The Cloud Mix just needs more iterations and a bit more focus—and seriously, a more street-friendly logo. Bridging the gap between wired gaming headset and mobile Bluetooth headset, the HyperX Cloud Mix doesn't quite nail either. But if you fall into both camps, perhaps it's an appealing jack-of-all-trades option. Why would you use it plugged in?